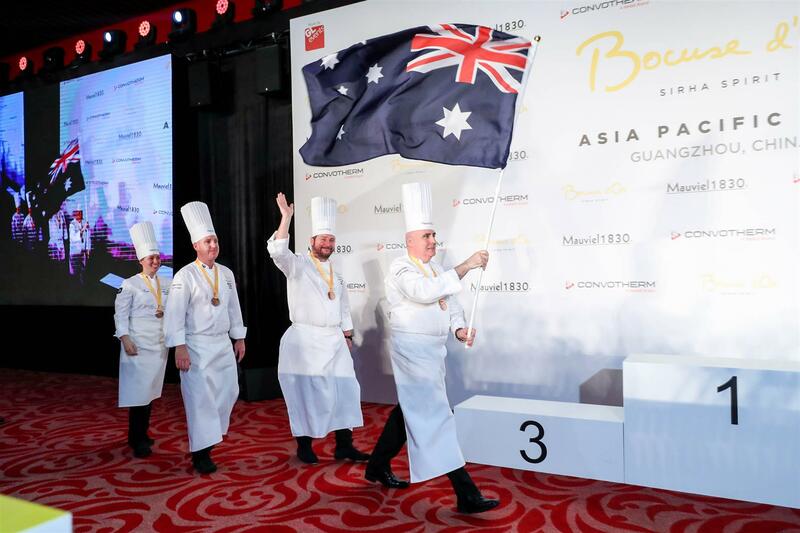 Team Australia has won fourth place in the elite Bocuse d’Or Asia Pacific finals in China, securing Australia’s place in the Grand Finale in France. 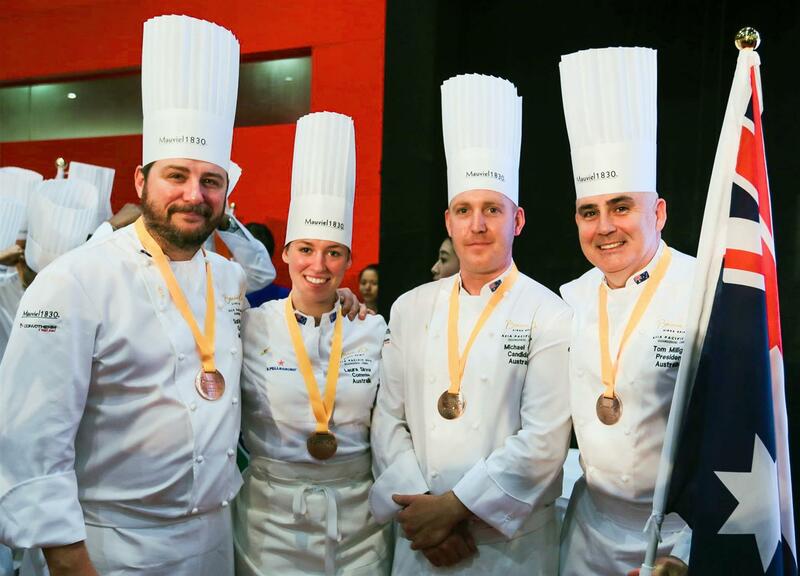 The talented Team Australia includes Tom Milligan (President Bocuse d’Or & Technical Director Le Cordon Bleu Australia), Michael Cole (Candidate), Scott Pickett (Coach) and Laura Skvor (Commis Chef) who was honoured to be named Best Commis Chef of the competition. The Bocuse d’Or is a gruelling competition that challenges teams to prepare two dishes in five and a half hours, one of which is presented on a decorative platter and then plated for judges. This year’s mandatory ingredient for the first dish was veal tenderloin and salmon for the platter. Australian Bocuse d’Or President & Le Cordon Bleu Australia Technical Director Tom Milligan says Cole and Skvor worked extremely hard training for the event, and their efforts paid off against very tough competition. Twelve Asia Pacific countries competed in the event held in Guangzhou and those placing in the top five qualify for the world competition in Lyon. Held every two years since January 1987, the Bocuse d’Or was created by the late Paul Bocuse to bring together 24 young chefs from all over the world, to compete in a contest similar to a major sporting code, hence its nickname “The Olympics of Cooking”. Extra points are given for ‘typicality’, or dishes that reflect the flavours and culture of the competitor. Cole included Australian ingredients such as Vegemite, abalone that he hand-dived off the Mornington Peninsula coast, ash from red gum cut from his own property, Australian black truffles and morels, Warrigal greens, Tasmanian black garlic, ink from Flinders squid and foraged native herbs. 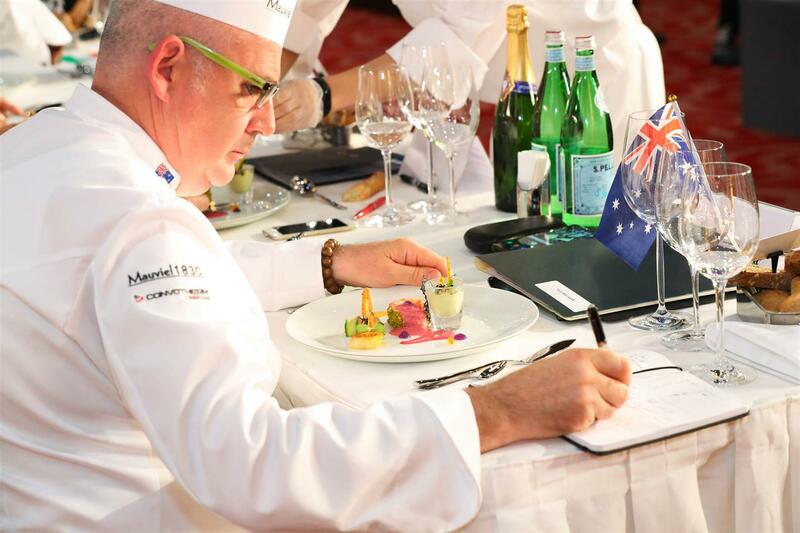 The Bocuse d’Or World Cuisine Contest in Lyon next January will be an even greater challenge for the Australian team, who will compete against 23 teams of elite chefs from around the world. 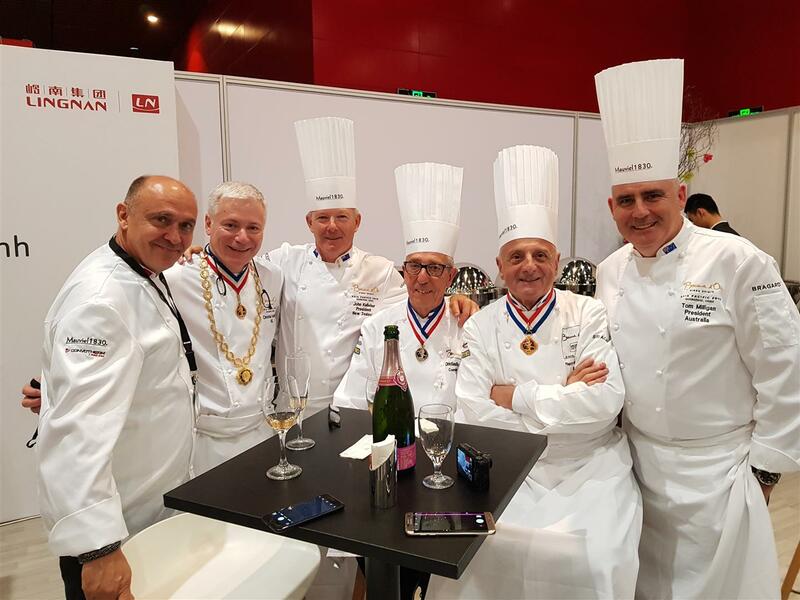 Le Cordon Bleu congratulates Team Australia and wishes them every success in the Bocuse d’Or Grand Finale in France in January 2019.